Sweden’s Arcona is a byword for comfort, quality and blistering speed. The new 435 has done nothing apart from burnish their already glowing reputation. 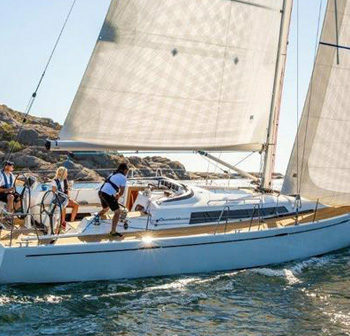 She’s a development of the Arcona 430 and should, much like her predecessor, be a polished performer. This is no simple MkII development of the 430 however, the whole boat from drawing board up has been redesigned and reimagined to offer modern performance with no shortage of luxury. The Grand Soleil 34 is intended to take this well-known Italian yard back to its roots. 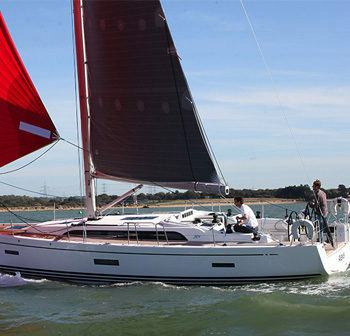 The company’s first boat, launched some 40 years ago, was a Grand Soleil 34, which proved to be enormously successful. This new boat aims to capture the same ethos and if our initial observations are anything to by, we think it will achieve that aim. 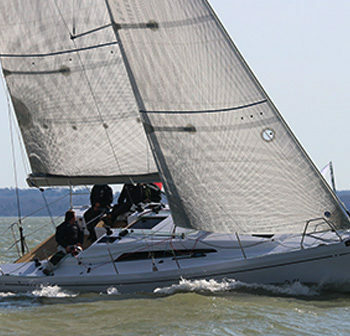 Our recent test sail showed how much effort has gone into achieving this aim, with a stylish, competitive, fun-to-sail yacht, ideal for double handing or fully crewed racing, with a range if options to suit either style. The latest 40 footer from J Boats is a clear development of the company’s ideas, but with a twist. It’s intended to be easily handled by small teams – anything from one to five people – and, as would be expected of the J Boats’ stable has impressive, well-thought through performance. 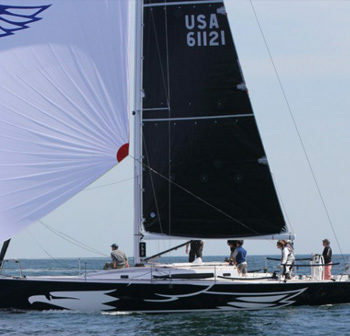 The shorthanded market is certainly an area that has been taking off in the world of IRC racing and J Boats have been quick to respond, first with a number of tweaks to existing boats and most recently with the J/121. They are fast becoming a major challenge to the French brands, which have been dominant in this space. 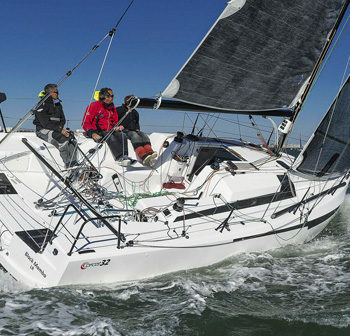 This new French 32ft rocket ship has been designed to win midshore or offshore races such as the Fastnet, Transquadra, Armen Race, or Tour de Belle-Ile. The boat was designed by the well-known Mark Lombard Design Group and in addition to racing it is also suitable for ‘fast cruising’ with fit out options below making it something of a comfy cruiser – but make no mistake, racing is where this boat’s heart is at. The first of a new X-line which slots between the Xc (cruiser) and Xp (performance) ranges is the X4 – a 42ft cruiser-racer that embodies the key principles of X-Yachts: fast, comfortable, quality yachts that can be both raced and cruised. In race mode, you get a modest displacement of 8,850kg, a deep T-shaped keel as standard, rod rigging and vacuum infused epoxy construction with a hull that features a steel grid at its core for extra stiffness. As with all boats from the marque, build quality is excellent and this feels something of a return to the builder’s roots.